When you play cribbage, you are dealt six cards. You choose which four to keep, discarding two. You then choose how you play those four cards to get the most points. Surprisingly, a lousy deal can still bring big points if played right. And if the cards weren’t played well, there’s always the next deal. For a few things, you can only play the hand you’re dealt. Your age, your race, your heritage, your parents, your height. That’s the hand you play. But for everything else, it’s a new deal. Every day we’re dealt a new set of cards. Life deals them and it’s up to us which cards to keep, which to discard, and which way to play them. Today is a new deal. How will you play your cards? 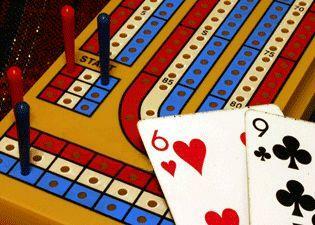 Today’s gift of time … Taught my daughter how to play cribbage. It was a new deal. 2 Responses to New Day. New Deal. Fun and useful way to think about how we play in life! Thanks!